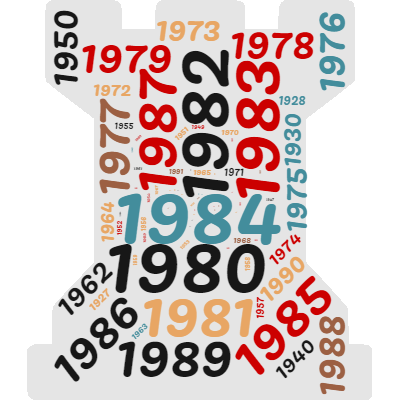 British Olivetti is a British company, part of the world-wide Olivetti Group which designs, manufactures, sells - the world over - the widest range of information systems today. British Olivetti exports its machines, made in Glasgow, to America, Japan, Scandinavia, New Zealand - in fact, all over the world. British Olivetti brings to this country Olivetti’s entire range, produced in 17 factories in both hemisphere, from the simplest office machine to the most sophisticated electronic equipment. British Olivetti is the British firm whose contribution to the British economy is the full, technological potential of a world-wide industry. 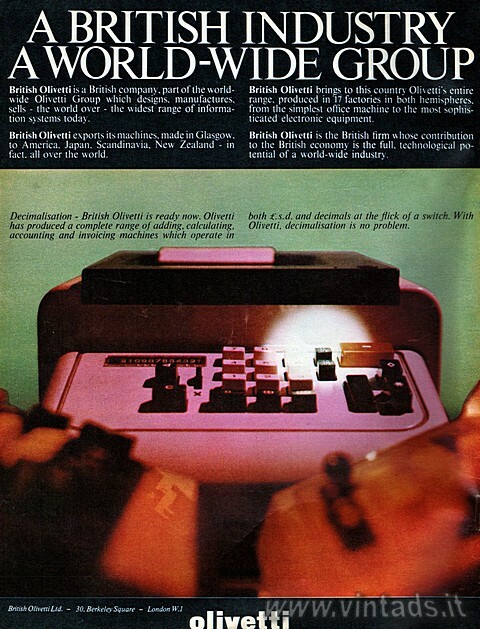 Decimalisation - British Olivetti is ready now. Olivetti has produced a complete range of adding, calculating, accounting and invoicing machines which operate in both £.s.d. and decimals at the flick of a switch. With Olivetti, decimalisation is no problem.